I have written before about how I have a bully who loves to pick on my weight. What I didn’t get to tell all of you about is my own weight loss journey. I want to tell you how since I was a teen, I struggled with my weight. I feel like if I just LOOK at cookies, I gain a few pounds. This means that I have always been vigilant about what I ate and I always exercised, but I never seemed to lose any weight! Finally, I read an article about how people who lost weight and were successful at it actually kept a food diary. Even after learning this secret, I was still disheartened because who can actually keep track of EVERYTHING you eat in a day? And that is when I realized that perhaps I WAS eating items that seemed healthy, but were high in calories. Do those jellybeans your coworker offered you really count? What about oil supplements? After some research, I found My Fitness Pal (some of my other friends use Fit Bit). My Fitness Pal actually tracks your food intake because you never have to guess how many calories something is. Their food database is immense. They even have entries for caloric counts of Indian sweets like jalebi! 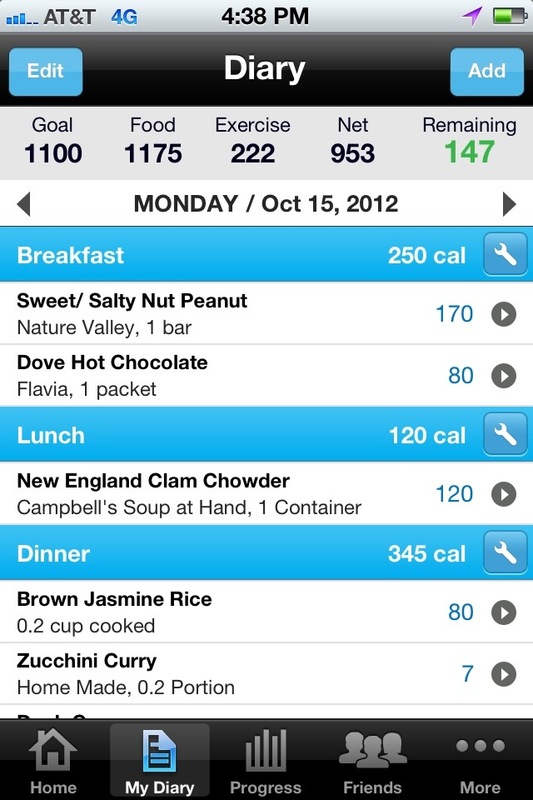 You can track your calories easily. There is even a barcode scanner capability on their smartphone app. It also helps you track your exercise too. It makes it simple for you to track what you intake in terms of calories, what you burn, and even estimates your weight in 5 weeks based on your daily entries. I lost 17 lbs using this free app. That being said, I still have a long way to go, but at least I have a powerful tool to help me along the way.